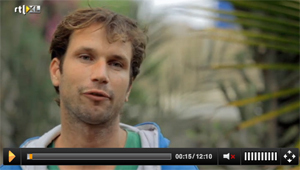 A few weeks ago FairMail was featured in the new Dutch television program “Grensverleggers”. The national business TV channel is covering Dutch entrepreneurs running their social enterprises abroad to create social impact. The 12 minute episode about FairMail shows the teenagers taking pictures for Ben & Jerry’s corporate Christmas cards on the beach, travelling on a photography trip into the Peruvian jungle and one of the FairMail founders trying to convince 15 year old Clever to stop working, earn money with FairMail and go back to school. Would he succeed do you think?